The Thousand Islands region is on the western side of northern New York (just north of Watertown). You could take I-90 to I-81 at Syracuse and head north that way. But I-90 to NY-12 N/NY-26N also works nicely. Either way, you're looking at about a 3.5 hour drive. A tragic love story surrounds the construction of the famous landmark. In 1900 George Boldt (who was the general manager of the Waldorf-Astoria Hotel in NYC) directed a six-story castle be built as a present to his wife. Four years later the work would end as Boldt's wife passed away. He never returned to the island. 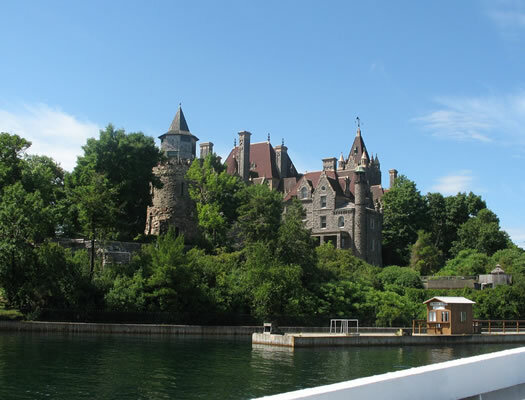 Today you can admire some views of the castle from the shore or take a boat ride out to Heart Island and learn more on a self-guided tour. Just outside the hubbub of the tourist strip sits a special little park with a lot of surprises. A swimming area and playground. A pavilion with picnic tables. A bridge leading to a little island. Views of Boldt Castle and Sunken Rock Lighthouse. It's a most lovely location to watch the sunset. Arching high in the sky, a walk over the bridge will provide stunning and unique views of the Saint Lawrence River. The pedestrian walkway is one mile long and the path is narrow, coming into close contact with cars driving by. Steel your nerves and enjoy the view! Just around the corner from the main drag, this restaurant is a world away from the fried foods and fudge usually found in tourist spots. Located in the Captain Visger House bed and breakfast, it offers a garden like-patio and locally-sourced food. 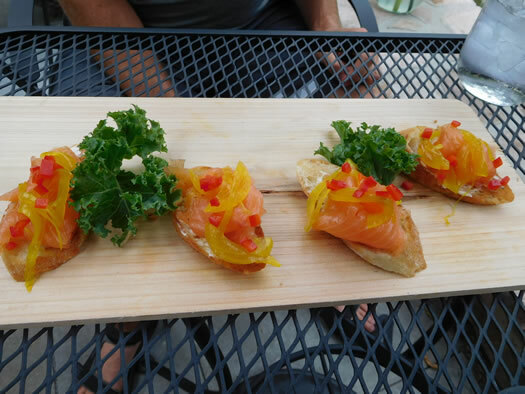 From the house-cured salmon to the brisket burger, the food was scrumptious on my visit. Every summer pirates attack and invade the streets of Alex Bay! Ships fire off cannons and muskets while the village tries to fend them off, but they cannot win against the devious sort. The mayor surrenders the key to the town and everyone becomes a pirate! Don't forget to pack your eye patch and have a great time. This year the festival runs August 12-21. Head west from Alexandria Bay to the far side of Wellesley Island and you'll find Wellesley Island State Park. Start in the nature center where you can check out the educational displays and grab a map. Pick your route and admire the turquoise water, pink rocks, and island views. In summertime you'll likely find wildflowers, frogs, and maybe even a loon. In addition to hiking, there are other activities including boating, swimming, and golfing. 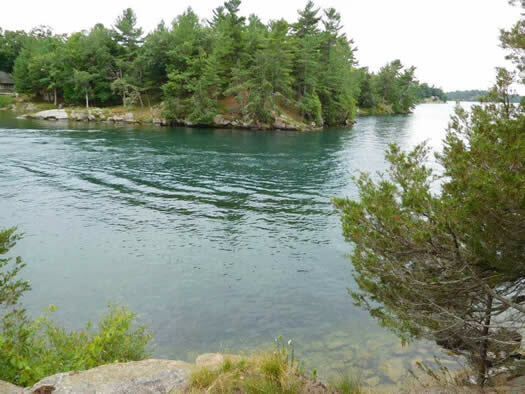 This is the largest campsite in the Thousand Islands, so you might even consider making it home base. If you prefer a quieter getaway, Clayton -- farther down the shore of the Saint Lawrence -- is your spot. The quaint streets will remind you of times gone by. A solid breakfast choice with a local feel, worth the ten minute wait at peak hours. Decorations within are picked carefully and reflect the region well. 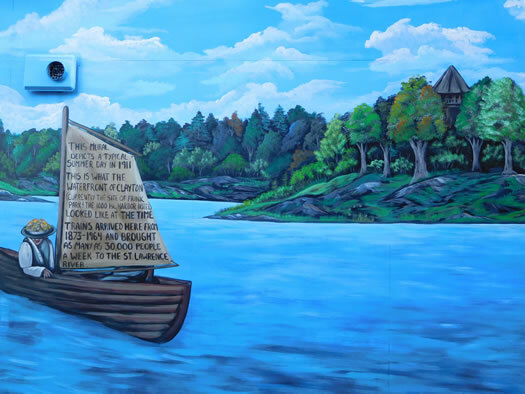 The coffee is strong and the food is as wholesome as the mural outside. Get out on the water and take in the view of the town. Powerboat, paddleboard, canoe, and kayak rentals are available. Speedboats, houseboats, and canoes -- you name it! There are 300 preserved boats and even more recreational boating artifacts. Take a tour of George Boldt's houseboat or row through the French Creek Bay in a traditional skiff -- all included in admission price. This year the Antique Boat Show runs from August 5-7. 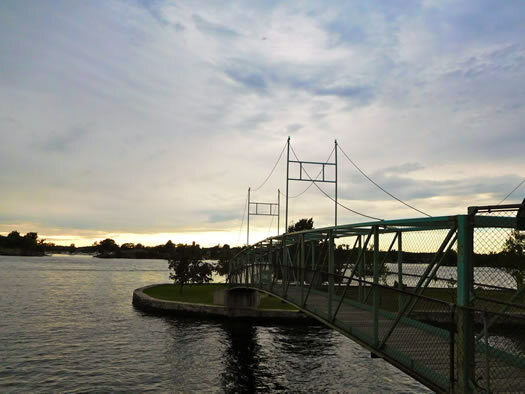 Wolfe Island is the largest of the Thousand Island islands, and it's located in Ontario. 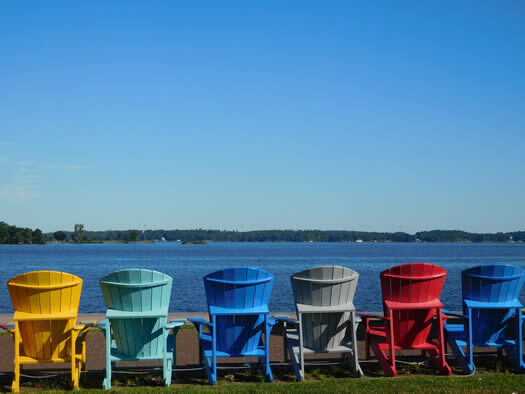 Take a ride on a horse-drawn carriage, visit a lighthouse, or relax at Big Sandy Bay. 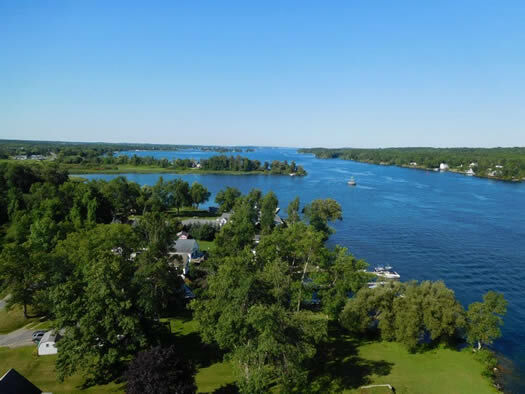 From New York, take the ferry at Cape Vincent to enjoy all the island has to offer. Alexandria Bay area is also great for camping! There are some lovely campsites up there that we've been visiting for over 20 years. Clayton has some lovely local businesses that cater to the tourist crowd, and a lovely boulevard. @ Carolyn : Any areas in specific that you enjoy camping? I'd love to take a trip there and do just that. Thanks. 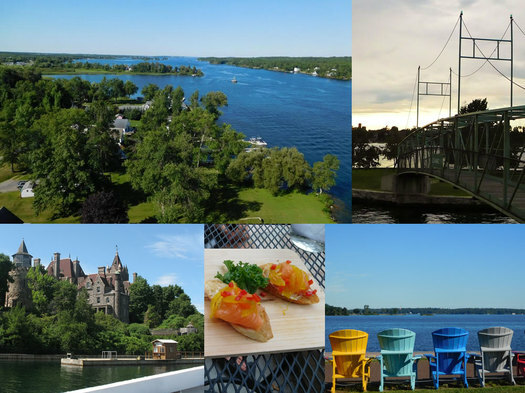 Like Caroyln, my wife and I go camping in the Thousand Islands every year. There's a couple state campgrounds on the water. Our favorite campground is Kring Point, but sorry Sean, I'm not saying what our favorite specific site is. It's hard enough to book as it is! But there are many scenic campsites. And if the other campgrounds are like Kring, they've upgraded the bathrooms to have private shower/toilet/sink rooms, plus a laundry room. You could live there. I'm heading up there in a month. Koffee Kove is a favorite of mine. I ride my bike there to make up for the mucho calorie consumption. If that's not enough, biking around Wolfe Island with all the scenic windmills should cover it.